We have always wanted to fly, so, as soon as cars came on to the scene, we wanted those to fly too. Early blueprints for the US interstate highway grid even had adjacent runways ready for flying cars. But those never came. Now that concept of the flying “car” seems quaint or naive, a 20th-century dream fuelled by decades of sci-fi and the Jetsons, as obsolete as the model T. Yet as we’ll see, something just as good may take its place. History teaches us that multi-use vehicles are naff. What is a perfect design for an aircraft is not perfect for a car and vice versa. To try to combine the two is what UK design consultant Peter Stevens calls “an inherent, debilitating compromise” – a lesson learned the hard way. 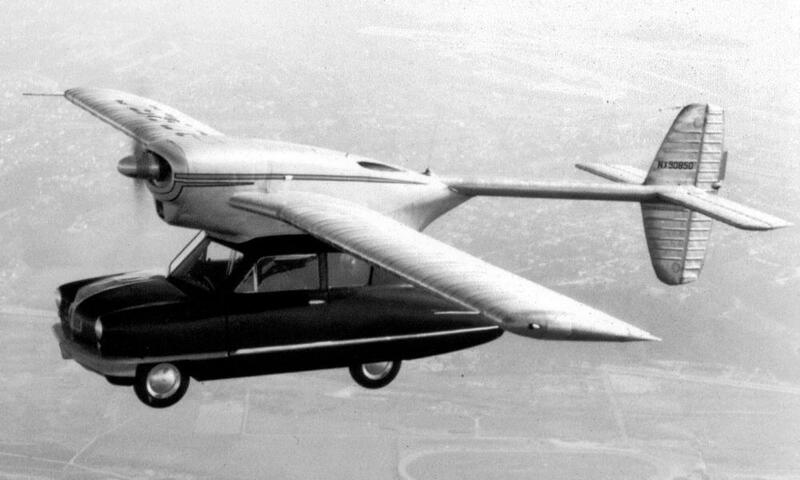 Witness the foolhardy Convair Model 118, (1947) – simply a car with plane wings stuck on top. It was forced kicking and screaming into the air on two occasions, with perilous results. This tortured Frankenstein of a contraption is a super-example of why your local bus isn’t amphibious, and why submarines don’t fly. Yet, few people wouldn’t want a personal, car-like flying vehicle that’s comfortable, convenient and liberating. Helicopters don’t really cut it, nor planes you are allowed to drive on a road, an idea making the rounds ever since the admirable but painfully labour-intensive 1950s AeroCar. It’s generally agreed runways are a no-no in most urban environments, so our “car” needs to be capable of quiet, stable, vertical takeoff and landing (VTOL). A feat that has proven extremely tricky, as SkyCar veteran Paul Moller has found, “nothing comes down faster than a VTOL vehicle upside down”. At present, that means propellers of some sort, but Dekkard’s ride in Blade Runner didn’t look like a giant drone. Similarly, anything with jets stuck on the wings feels like a plane, and besides, no one wants the noise of a Harrier taking off next door. To top it off, VTOL devours fuel, as in the absence of a new method of levitation, we are still relying on pushing a lot of air downwards. Technical dilemmas aside, in any future where there are flying cars, everyone will want one: motorway pile-ups are bad enough without the horrors of a 3D version. Autonomy might only be granted to police or other emergency vehicles – as in Blade Runner. Uber is already negotiating the technology and safety infrastructure in its research into Elevate: a fleet of electric, autonomous, VTOL aerial taxis, essentially passenger drones, which are planned to launch by 2020 in Dubai, and other cities thereafter. It envisages “vertiports” in city centres, controlled by an enhanced air-traffic control. Elevate is already in a passenger drone arms race with Larry Page’s Kitty Hawk aerial taxi, China’s Ehang, E-Volo’s Volocopter and Airbus’s Vahana. The traffic they could soon be controlling might include some of the following, some of which are like a car, some … less so. Terrefugia’s Transition: Henry Ford’s “combination aeroplane and motor car” encapsulated. 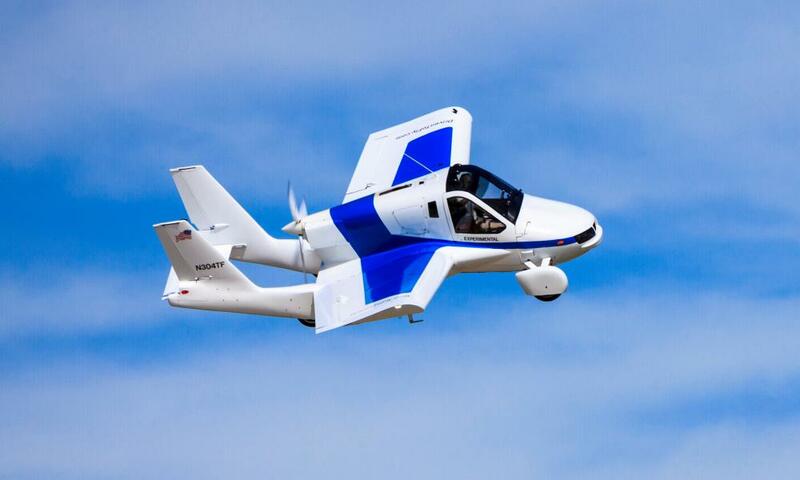 The Massachusetts firm says it’s “the world’s first practical flying car … making that Jetsons dream a reality”. Downsides: the Transition looks like a plane, takes off on a runway and you still need to be a pilot and at an airport to fly it. That’s a plane – albeit one allowed on the road by dint of folding up its wings like a metal bat. For the same price – about £230,000 – you could get a plane and a nice car. Available in 2019. From Slovakia, AeroMobil’s impressive flying car looks the part, with its super-lightweight, carbon-fibre tuck-in-able wings. But it, too, needs a runway, so it can either be used as a car, or as a plane. Great if you live in the outback; otherwise, might as well get a car, and a plane. Israel’s Urban Aeronautics’ uses a more elegant enclosed rotor system on its wingless, computer-controlled Fancraft: “the classic vision of a flying car” (more a flying hovercraft, perhaps). The Israeli military has already snagged the technology for a rather sinister flying tank it calls the AirMule (for use in “search and rescue” where helicopters would be unsuitable). Easy to imagine the police aerially harassing us with one of these within a decade. Two examples share first prize: Terrefugia’s TF-X – an all-electric, AI-controlled, VTOL vehicle that looks much more like that car in your head, but is sadly 10 years away; and the temptingly sleek Lilium Jet – the world’s first VTOL electric jet, according the the German tech firm. Faster than a helicopter, quieter than a Harrier jump jet … even a bit like a car. Finally, no mention of flying cars must pass without an honourable award for gallantry to Paul Moller and his stylish “volantor” – a VTOL plane-like car that started life in 1965 as a drivable flying saucer. Fifty years later, it is still awaiting investment. It’s probably a matter of when, not if, road-based travel becomes obsolete – the likes of Uber already show the will is finally there and the tech is tantalisingly close. Regulatory hurdles aside, we may see VTOLs flying over our cities very soon … but whether they will allow you to drive one is another thing.